Misc. 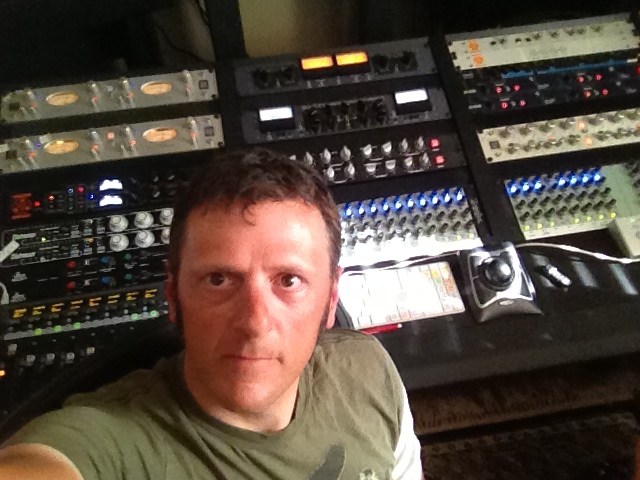 Stuff: Event with Rob Chiarelli; Gear “Option Anxiety”; KIVA Music. Rob and I will be the featured guests of Marek Stycos at tomorrow night’s GC Pro and Audio Alchemist event. We will be available to answer questions about how we do things in the studio, or we might simply hang out over a bowl of Thai curry and get to know some new friends. I enjoy doing these types of events because they give me an opportunity to mingle with old friends, meet new ones and share classic recording techniques and philosophies with the next generation of audio recordists. Plus, in this case, it’s going to be a blast because Rob and Marek are at the top of their game. They are masters of what they do, and they’re both good friends of mine. Rob and I have been making a concerted effort to “give back” by doing events, workshops and master classes. Although there is an inherent educational component to what we do, we try to keep things light and fluid, with plenty of room for improvisation and interactive audience participation. I’ve been told by several sources that the attendees and the sponsors both value this because they leave the event feeling like, “If Rob and Michael can do this, so can we!” I guess that modest success in the record business looks glamorous and unobtainable to the new guys & gals. Apparently we put a face and a tangible handshake to that success, therefore making it real and within reach. Something I’ve noticed is the fact that the up-and-coming generation of record producers generally have very little gear—and they can’t even imagine that they will ever have the resources to acquire a collection. They don’t believe that they will ever make enough money from music to actually own some cool pieces of equipment. Their recording studios are sometimes simply a laptop and a microphone. But that doesn’t stop them from making some great records. By contrast, those of us who were lucky enough to have a career in the business when the money was flowing have accumulated enough tools to deal with any potential situation. Some of us are prolific; others are lazy. There’s also a third subset that gets bogged down in what I call “option anxiety”: those cats have so many choices that they spend too much time futzing with technology when they could just be making music. They become slaves to the tools, which should in fact exist to serve the music. My philosophy is that one would be better off learning every little operational and aesthetic nuance about just a few key pieces of gear, than to only scratch the surface of a vast collection. It’s likely that I will be reminding some folks of that fact at tomorrow’s event. Over the past couple of years, I have observed one of my favorite record producers, Stefano Vieni, along with his brilliant engineer Alex Ponce (aka El Guapo! ), develop a nice collection of recording equipment. In their mid 20s, these two talented young men have made around 150 records during that time, some of which have become hits on the Latin charts. They are very smart about their purchases, and they learn how to get the most mileage from each item. Technology never gets in the way of what they do – it only enhances it. Alex has earned my respect not only for his engineering and mixing skills, but also for the fact that he is humble enough to ask for mentoring whenever he needs it. He’s gotten so good, so quickly! Some young cats are credit hogs and don’t reach out for help because they want to be the rockstar. As a consequence, they learn lessons more slowly than the humble guys who ask for help. That’s not Alex. He’ll make an international call in the middle of the night if he thinks it will help to make a better record. Alex and Stefano are responsible for the recent #1 and Gold records I’ve mixed. Kalimba, Mario Guerrero, new artist Anna Sophia, et al. Great stuff! I’m super excited for them and all the success they are having. Even though they have gotten good enough that they no longer need my services, they continue to work with me. They understand the long-term value of nurturing good relationships. For that, I am grateful. Keep your eyes and ears open for their new venture, KIVA Music. I frequently get asked how to prepare and clean up audio files and Pro Tools HD sessions for efficient uploading to online remote mixing service providers like IndieProMix. This home-brewed video shows how to create alternate playlists, delete unused playlists and audio clips, consolidate/merge files, save a lean & mean session/project instead of an unruly beast, and more. If you have not done this process before, or simply need a refresher, watch this thing twice. Watch it all the way through the first time, then be ready to pause it every few seconds the second time while you follow along in your DAW. Alternatively, you can click on http://www.indiepromix.com/guidelines.html and navigate to a printer friendly description of the process. Following these guidelines will ensure that your FTP upload will be as fast and efficient as possible, and that your mix engineer won’t waste precious creative time in housekeeping mode. Better preparation = better mix…faster! Feel free to share the video and this post with anybody who can benefit from it. Let me know if you have any questions or related tips and tricks of your own. Sometimes you simply have to find amusement in the irony. Life will throw you a curveball that looks like it’ll knock you down, but you stay focused and take a swing if you want to stay in the game. That’s what this newfangled blogging thing seems like to this old-timer: a swing to remain relevant in a game that I helped shape. This is going to be fun. Play ball!